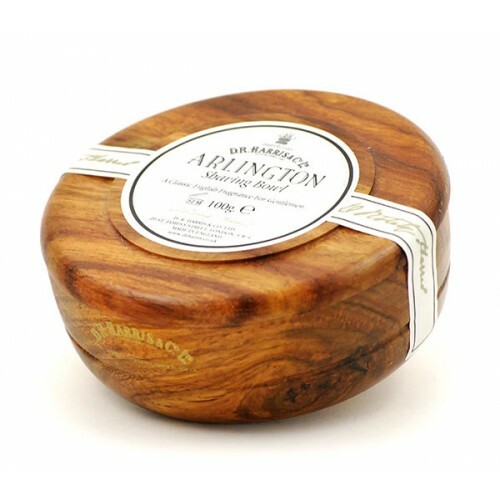 D. R. Harris Arlington shaving soap is solid white soap of the finest quality and is triple-milled to increase the profuseness of the lather. The lather will soften the beard for easier shaving. The bowl is hand-turned in dark wood (Mahogany effect). Wet the beard with warm water, apply the wet shaving brush to the soap, lather up in the bowl and apply to the face.